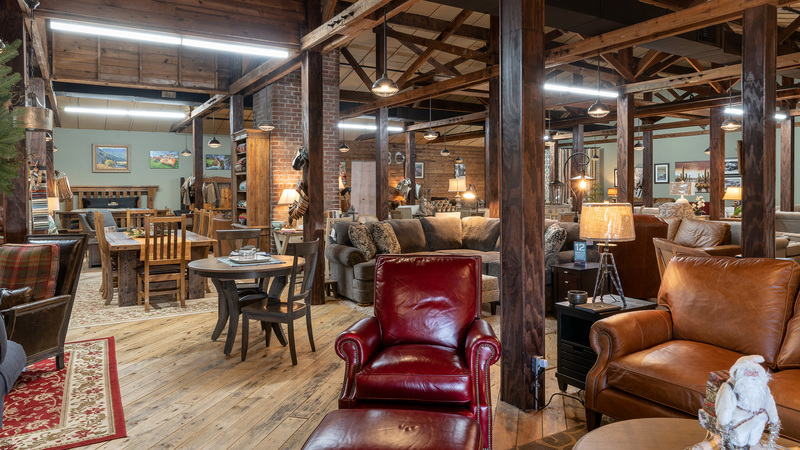 Old Fort Furniture aims to provide high-end quality and comfort to the Arkansas River valley area and beyond by offering the very best hand-crafted, American-made furniture. 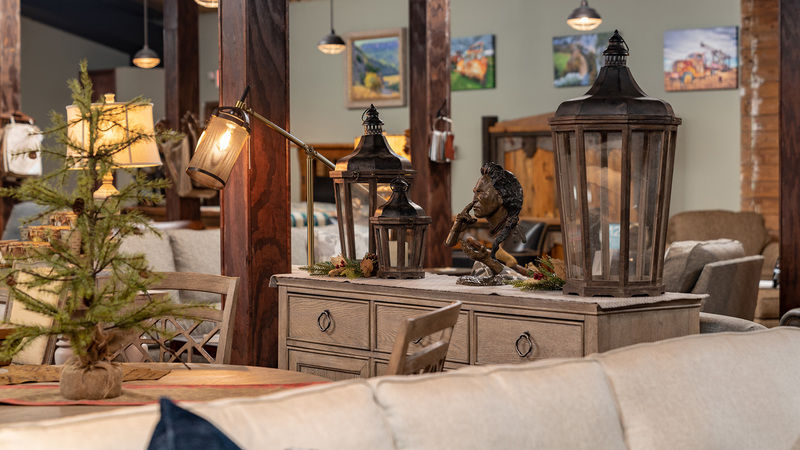 Visit our showroom in the Chaffee Crossing Historic District to see the beautiful pieces and accessories available for the bedroom, dining room, living room, home office and more. Or work with one of our in-house designers to create your dream furniture, accents and accessories. We have thousands of options available. But keep in mind, we do not carry $500 sofas. While our pledge to our customers is to provide quality and comfort, quality always comes first. 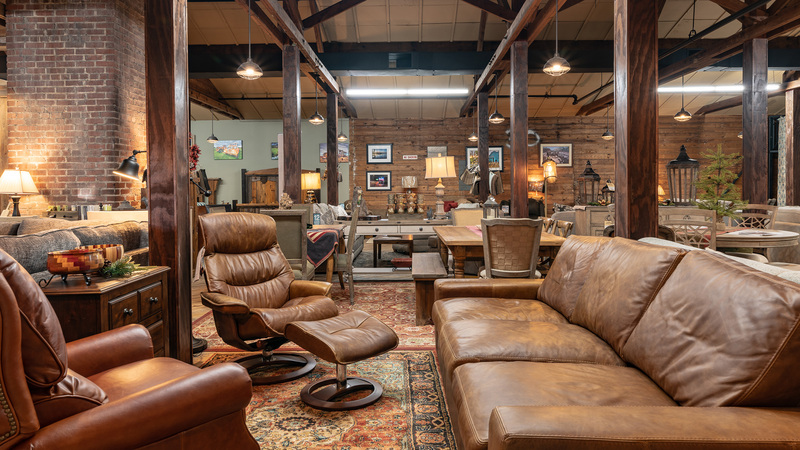 All of our hand-crafted pieces are one of a kind, constructed from the very best hardwoods and the most durable, comfortable leather and upholstery. Each piece is a custom work of art. We are a high-end furniture dealer, selling quality pieces built to last. Our sofas, for instance, are constructed with an 8-way hand-tied frame, meaning the springs are tied front to back, side to side and diagonally. This is a time-tested method that requires a lot of skill to produce, and it is worth the effort, resulting in both superior comfort and support. Our tables, dressers and cabinets are solidly constructed and showcase the natural beauty of the wood. Our dining room chairs feature a solid wood frame, making them sturdier than chairs with separate, attached legs. All sofa and seat cushions are made from an 80/20 poly foam/down mix that provides durability and comfort. All of our leather furniture products use top of the line aniline leather, the most durable and natural-looking leather because it does not include any type of top coating. Our suppliers help us keep that pledge of superior quality and comfort. The artisans who build our furniture have skills honed over decades and use techniques proven more than a century ago. 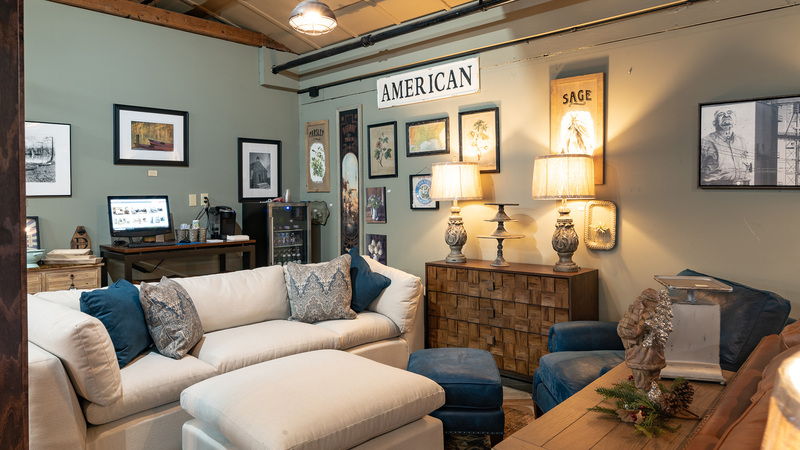 More than 80 percent of our items are American made, coming from manufacturers like Our House Designs, Temple Furniture and Troutman Chair Company (North Carolina), England Furniture Incorporated (Tennessee), Bramble Furniture (Wisconsin), and Pendleton Blankets (Oregon). This level of care and quality means our tables, chairs, sofas, dressers, desks and accessories are not cheap, but each piece is carefully hand-crafted. Most of our pieces come with lifetime warranties on the frames and cushions. A 10-year warranty comes with every piece of furniture covered with Crypton leather. Old Fort Furniture is proud to be a part of the Fort Chaffee redevelopment southeast of Fort Smith. 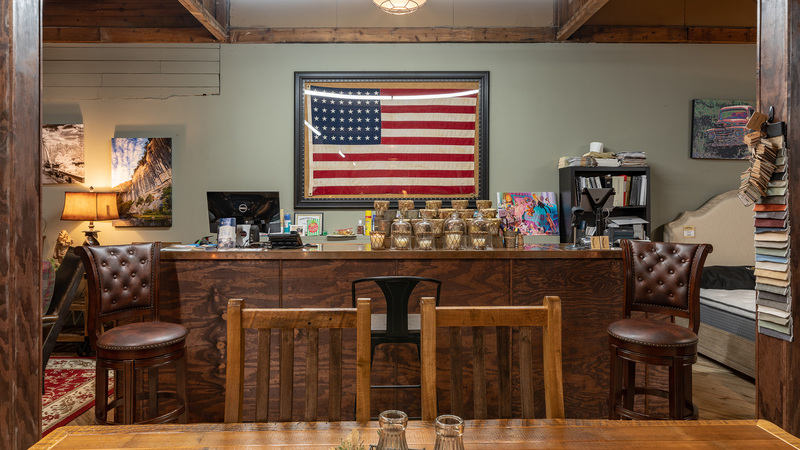 The Chaffee Crossing Historic District is envisioned as a community where residents, restauranteurs and retailers exist within walking distance of each other. We are extremely happy to be a part of that vision for the future. Being away from Rogers Avenue means we have to be a standout business offering a proven product to get customers to come out to our showroom. 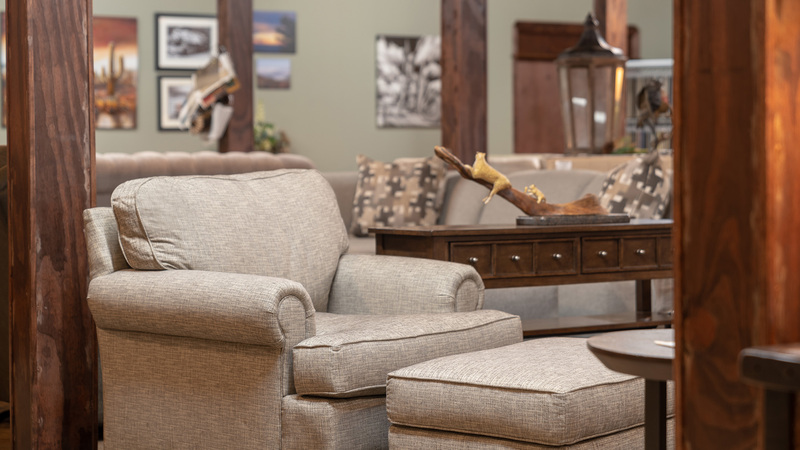 Old Fort Furniture is relatively new, but in a short time we have served a number of clients in and around the Fort Smith region and have earned a trusted reputation for quality and comfort. Our clients include past Super Bowl champions, Major League Baseball and National Hockey League players, and many names that would be familiar to the public as well as many of your friends and neighbors. 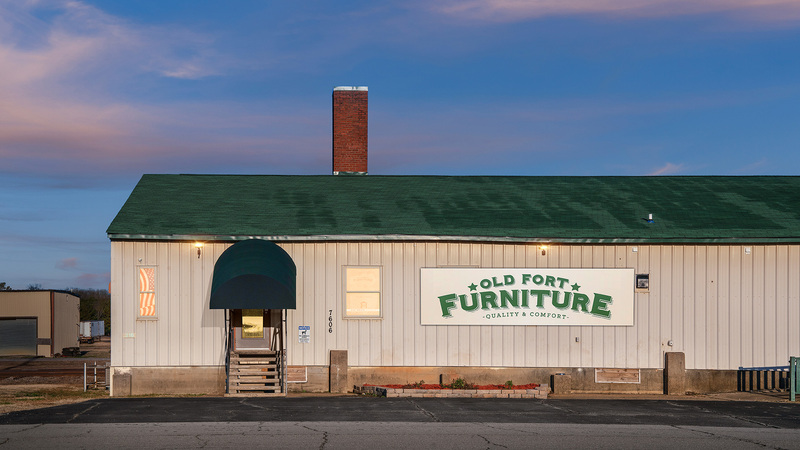 Old Fort Furniture delivers within a 100-mile radius of Fort Smith, handling all of northwest Arkansas, west into Oklahoma, and east to Russellville, but we also have delivered to customers in Durango, Colorado, and Coffeyville, Kansas. Come by our showroom and let us show you why we are so trusted. The warehouse district at Fort Chaffee was built in the early 1940’s as a clothing issue facility for soldiers preparing for World War II. The buildings were set to be demolished so a group of businessmen partnered and purchased the warehouse space to renovate and revitalize the warehouse district to a comfortable and relaxing atmosphere for retail, restaurants and a walking community in a historic district. Old Fort Furniture takes pride in the history of the building and the way it was structured. We provide high-end Leather Furniture to the greater Fort Smith area. We will deliver up to 50 miles from our location.